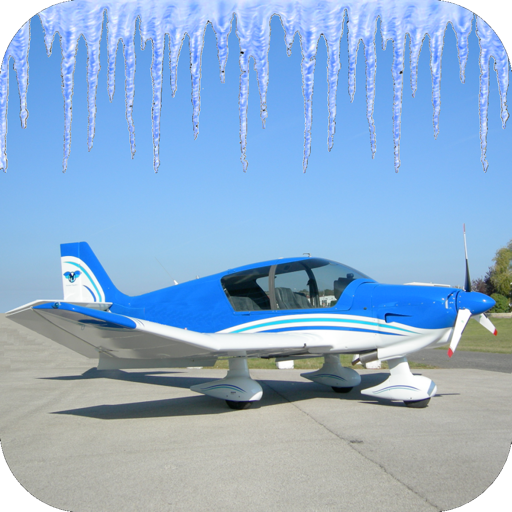 This app is meant for you as a pilot and adds different zones of carburetor icing probability to psychrometric diagrams. You enter the temperature from the meteo (METAR) and you get an indication of icing probabilities. - Enter data by tapping buttons or by keep pressing them for faster input. - See immediate results of your data entry on the diagrams and the result panel. - See how altitude affects the results. 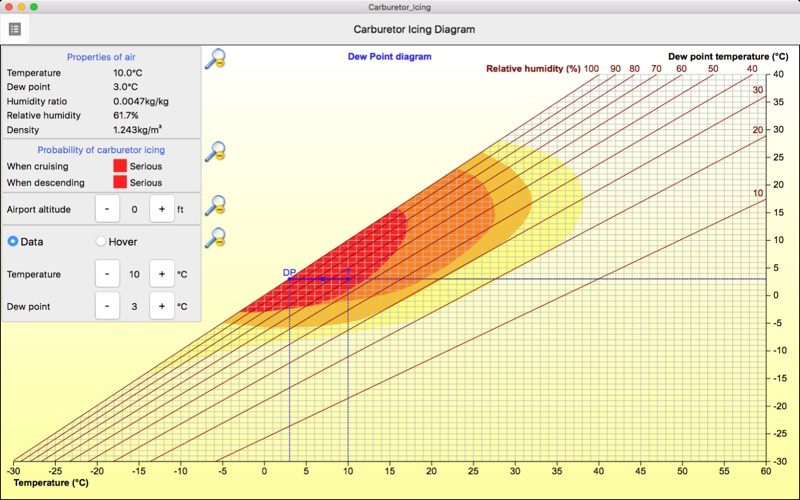 - Read important air properties of a given point in the diagram from the result pane: temperature, dew point, humidity ratio, relative humidity and density. - Hover over the diagram, instead of entering values, and watch the results appearing instantly. 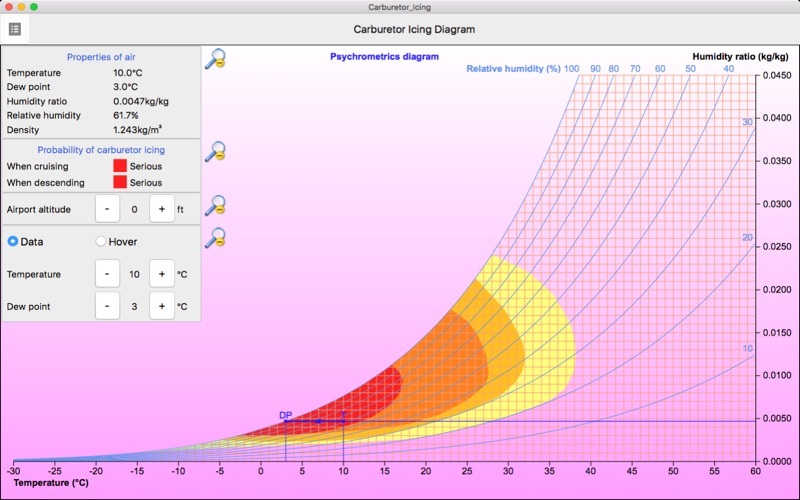 - Choose one of the diagram types (Dewpoint, Psychrometrics or Mollier) for the graphical results. - Choose between metric or imperial unit dimensions, e.g. 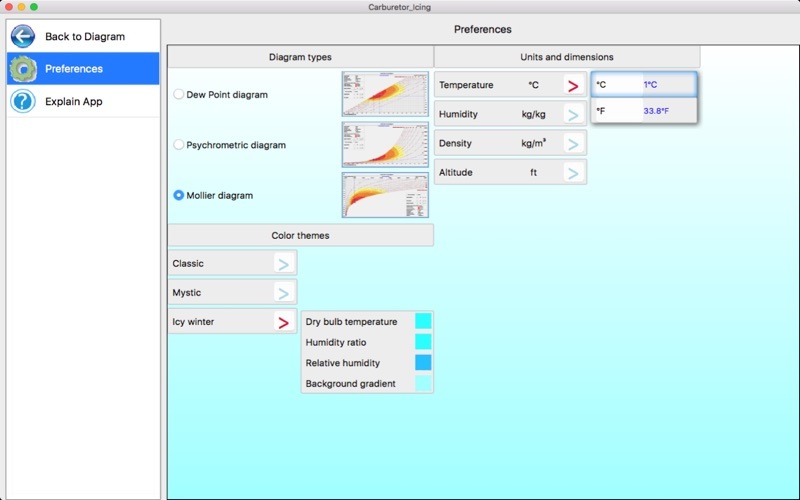 °C and °F or m and ft.
- Select a color scheme for the diagram and background colors. - Tap the "Explain App" command to get a short explanation of this app. 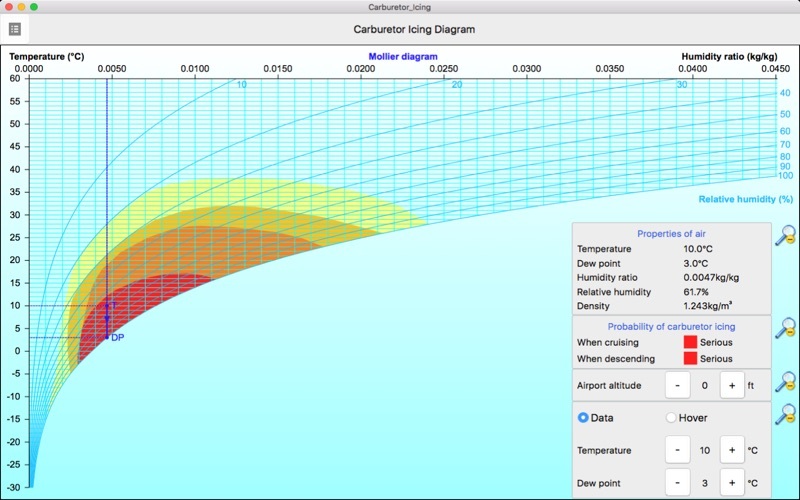 - The app saves the latest unit and diagram type settings and starts up with those settings. - Changes its language to the language settings of the MacOS device. Only for English (Default), French, German and Dutch.